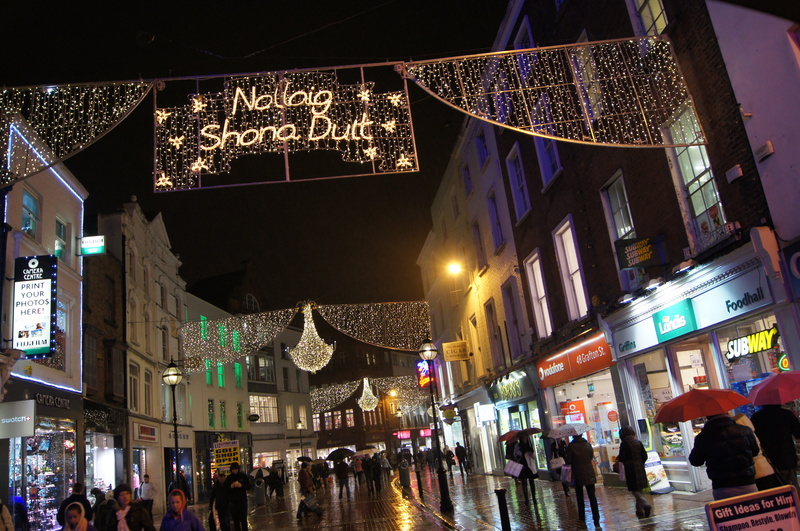 Happy Christmas to all…Nollaig Shona Duit! As I write, we are just under two days shy of Christmas Day, and I suppose now is as good a time as ever to wish one and all a Happy Christmas. Whether you are a daily reader, or drop by occasionally, I get a great thrill knowing people read my blog. I hope you all have a peaceful few days and that 2015 starts off just as you would like it to. I finish up in the office tomorrow for the holidays, and have 6/7 days with the family. It’s going to be a good few days. I may even do some planning for my upcoming trip to Spain. While I think of it, I want to wish “Feliz Navidad y Feliz ano nuevo” to those who are walking the Camino de Santiago at this moment in time and who plan to reach Santiago over the Christmas period. That’s one for the future in my books! Let’s call this a Christmas present to myself!! I own a few guides to the Camino de Santiago. You can read about them in a previous post here. The most well-known of these is the John Brierley guide. Some people swear by it, others don’t. I’m in the latter category. I brought it along with me in 2011 and in 2012 and read it once or twice a day while on the trail. It can be useful to get information on albergues, but I can find that information on my phone through apps. In 2013 and this year, I brought along the maps-only Brierley guide which again was rarely used. It is ultra-light but it was in my bag the majority of the time. Must be the reason why I got lost so many times 🙂 If you are a Brierley fan, I would encourage you to buy this book, and not the full guide. Fast forward to now, I have just bought the Rother guide. I’ve been told the majority of German pilgrims use this. It is very compact and small and yet still holds alot of information…in 226 pages. At the same time, you don’t get the “words of wisdom” that Brierley likes to quote in his guide. Information on albergues is summed up in one line. The maps are well detailed. As well as the book, you get a set of GPS coordinates from the author’s website to use on smartphones. I’m going to like this I feel. So do you use this book as a guide? Or are you happy to “wing it” and let the arrows guide you? This is a great list if you are looking for a last minute gift for someone who likes to travel. I still find it hard to believe that I will be returning to Spain for the 5th time next year. I keep getting asked that there must be other things I could do or places I could visit, but as long as I enjoy walking, I’ll keep making plans to return. I love the Spanish people, the culture, their way of life and also meeting people from different corners of the world. I hope to start in Belorado in the first week of May. From there, I will walk from 11 days. I would hope to reach Ponferrada within that time. I then hope to catch a bus to Santiago de Compostela, stay a night and fly home to Dublin. It all looks well and good on paper, you know?, but I have found Astorga to Ponferrada to be the most challenging section. I picked up some bad blisters there in 2012. However, I think I stand to gain from walking the full Camino before. I don’t have flights booked as of yet but hope to do so over the Christmas period. I have kept in touch with my friend Garry in Santiago (check out his site www.spanishadventures.com) and I may meet him and his family, provided he is not walking with a group. I won’t blog during this Camino but I will continue to post pictures to my instagram and facebook accounts while I am there. And just to finish off this post, why not “like” my facebook page here? There are literally hundreds of videos on YouTube about the Camino de Santiago, from the very well made to the hastily put together. Each and everyone of them tells their own story. I think YouTube is a great source for information for those reading up on the Camino, as well as blogs and forums. So I would encourage any future pilgrim with a few hours to spare to spend time there. That being said, I would recommend the below set of videos. Andrew Suzuki has recently walked from St Jean Pied de Port to Finistere and he has put together a very slick set of clips with some great advice. 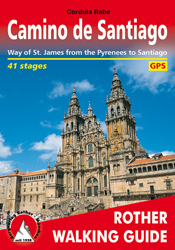 He has described this series as a “users guide to the Camino de Santiago”. I think he has managed to fit everything in, including the blisters 🙂 There are also some great pieces of advice from people he walked with. The series is also an extension to his own documentary “Beyond The Way” and if you are Facebook-inclined, you can find out more about here. Throughout my past Caminos, I’ve stayed in mostly great Albergues, some average, but I’ve had no complaints. Here is a map I have created of all of the places I have stayed. During my first Camino in 2011, I stayed in pensions just in case you are wondering about the lack of albergues 🙂 This map is definitely a work in progress as I am due to go back in May and hopefully stay in albergues not visited before.